Choose a design created by our artists or use our clipart images and start your artwork from scratch. 12,000 keywords to search our vector designs and clipart images. All of our designs and clipart images are royalty free. We stay up to date on the latest trends, newest colors/designs/styles and looks. This means our online designer will continuously be updated. Don't take our word for it, read what out users are saying about our new online designer. Designed out team banner in less than 30mins. Not only is it really easy to use and a great tool it is convenient and much needed. As a team coach I found the designer 100% user friendly. Our banner came out sharp and just the way the team wanted it. Finally a local company that can offer this great tool. Thank you for making this happen. We decided to have a last minute sale for our shop, through the pre-designed templates, we were able to have an awesome looking design in no time. As a PTA Volunteer I find this new tool very useful and easy to use. Wide variety of images to choose from and very simple to create artwork. The designer literally has thousands of images to choose from. The best one I have seen out there. Our softball team had a blast using this tool as a group project. It's has really cool features. 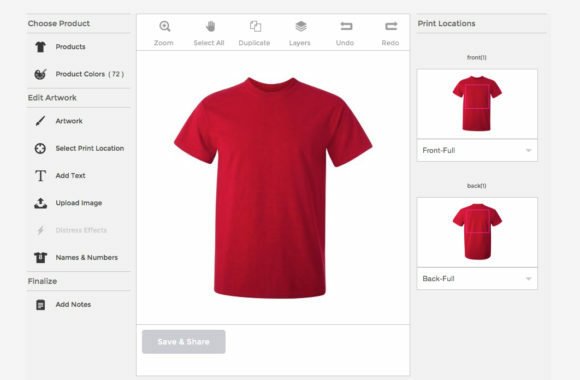 As a designer it's easier for me to visualize my shirt designs before I sent to production. This tool allows me to do that. 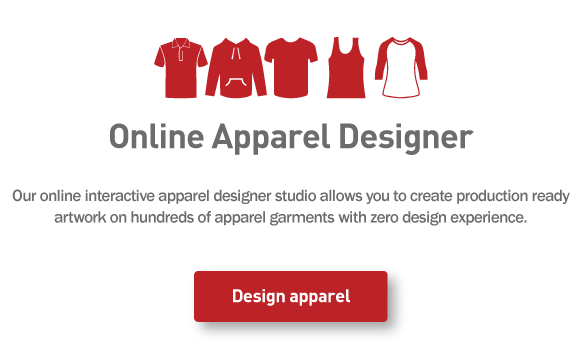 I was able to upload my own company logo and see it displayed on many different garment options. Very cool! The ease of use is amazing. 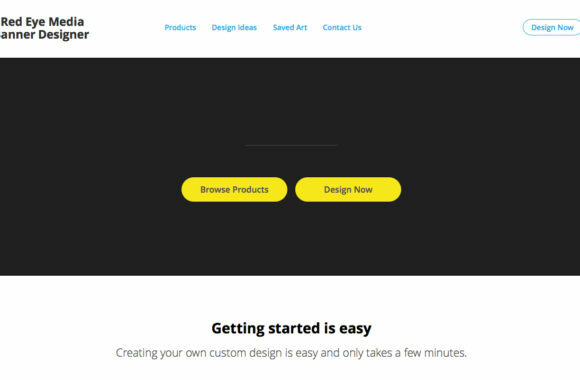 This tool makes it super easy to create and execute designs on the fly. 2 thumbs up for this new tool now being offered. I can now take my time and create whatever it is I want. Most of our designs are easy and simple, so now being able to make those simple designs looks like a million bucks means a lot to us. No more waiting on proofs or waiting on designers to send mock ups. This is an awesome tool! One word, AMAZING! It is fast, easy and has so many options to choose from. This is awesome. Excellent tools, wide variety of graphics and very easy to use. I'm a fan! 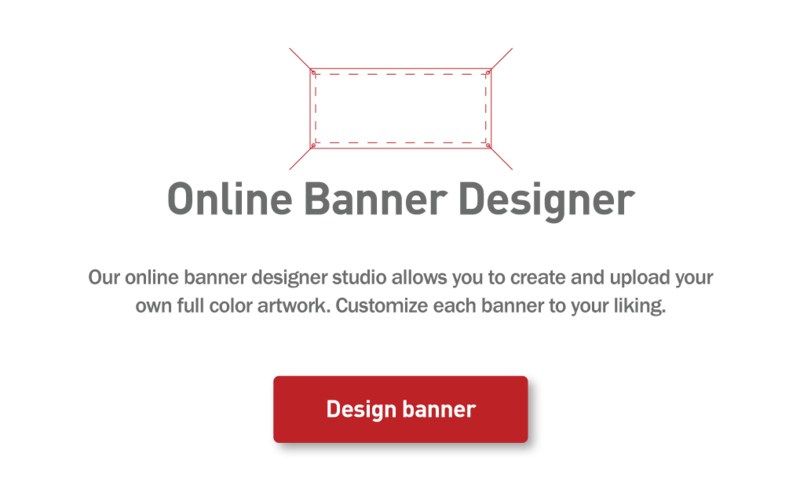 This tools gives people who don't have design skills to create amazing artwork without much knowledge.